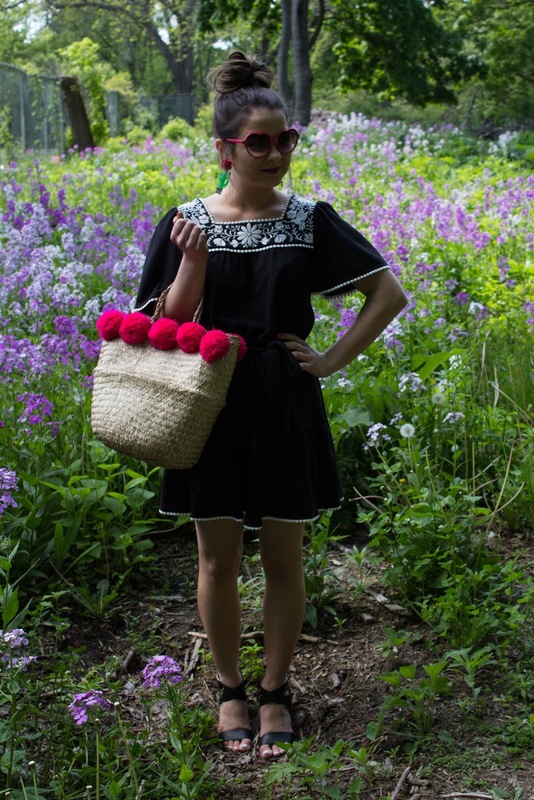 OOTD: kate spade Mexico Summer Faves Part Two! Hi all! 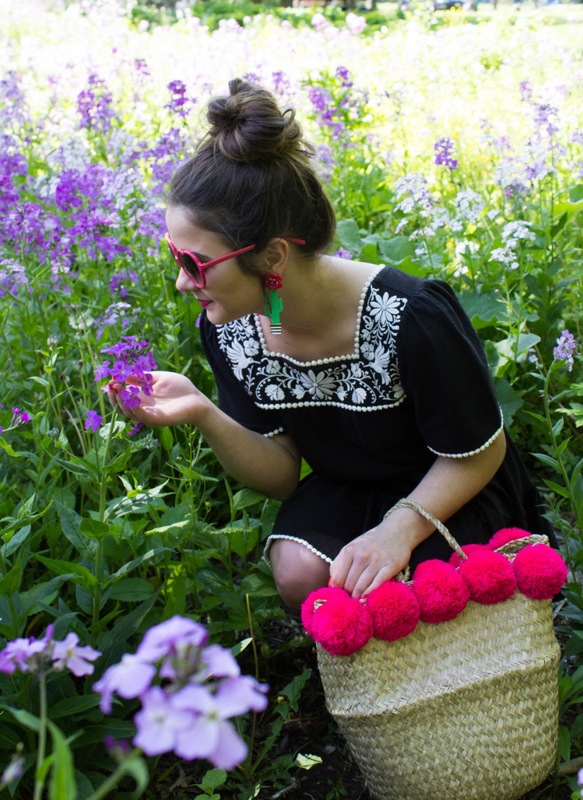 Welcome to Part Two of my kate spade Mexico favorites! I shared my extra spicy tee and taco truck bag with you last week, but today I'm here to show you my favorite sundress of the summer collection. This outfit was a long time in the making! It took me about a month to commit to buying these cactus earrings. Every day, I would go to work and be like, "SHOULD I BUY THESE? AM I CRAZY FOR LIKING THESE? WHAT WILL THEY GO WITH?" And the answers were, yes, maybe, and everything. Finally, I determined that they would at least go well with this black embroidered sundress I had recently bought, so it was a go. Since then, I determined that they actually go with a ton of my outfits! 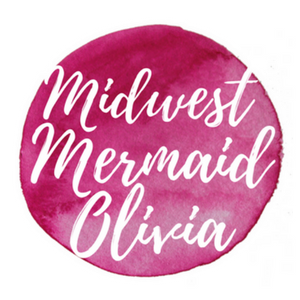 If you've been following my Instagram story (@midwestmermaidolivia), you'll notice that I have been wearing them all the time! And I tend to make note of it when I do. To go into a little bit of detail about the dress - it's super comfy. It's 100% cotton and completely flowy. You can belt it (with a tie that comes with it) or leave it as a shift. I honestly like how it looks both ways. I do usually belt it though for a more finished look. 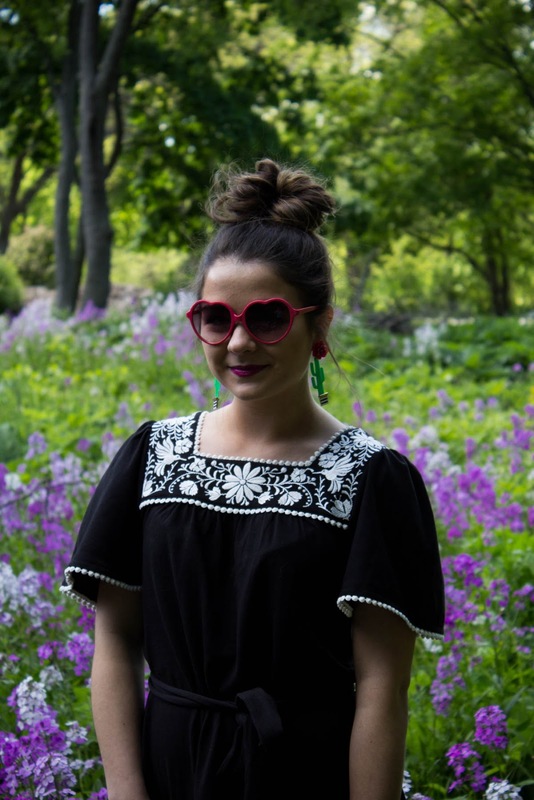 The embroidery around the neckline fits perfectly with kate spade's current Mexico theme, and if you look closely you'll notice intricate flowers and hummingbirds. Overall, it's the perfect dress to wear if you want to be a bit dressed up yet still extremely comfortable. Pair it with my favorite pair of sandals for the summer (which are on sale for $20.99 now), you have yourself the perfect outfit for a lovely summer day! The heart sunglasses are something I picked up a few summers back. You'd think I would feel silly wearing them, but you'd be wrong! 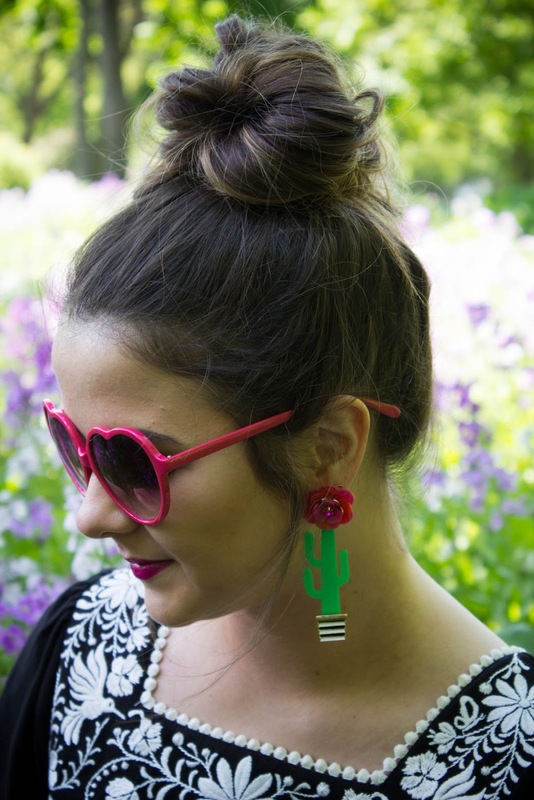 I mean come on, you're talking to the girl who has acrylic cacti dangling from her ears. The tote was actually the Easter basket that my mom gave me this year! It's from Hobby Lobby and I had almost bought it every time I went in there (which was a lot)! It's going to be the perfect beach bag this year. Since the day these photos were taken, they have mowed down these purple flowers. I'm sad about it. Actually, they could have been poison and I wouldn't even know about it. I thought of that about halfway through this shoot... oh well! If you missed my last look from Mexico, check it out here! 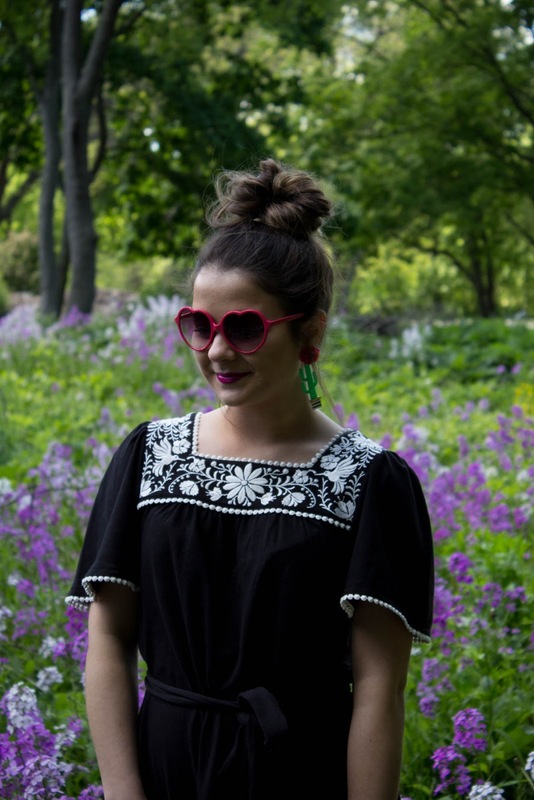 OOTD: kate spade Mexico Summer Faves - Part One! We've moved out of Morocco...and into Mexico! 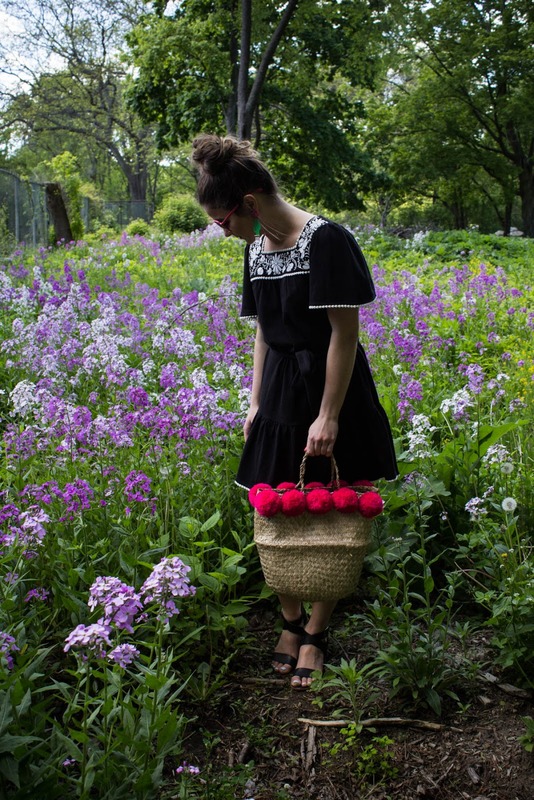 The kate spade collection for the summer is centered around the sights of Mexico. Pinks, greens, purples, reds, and of course - the classic black and white. 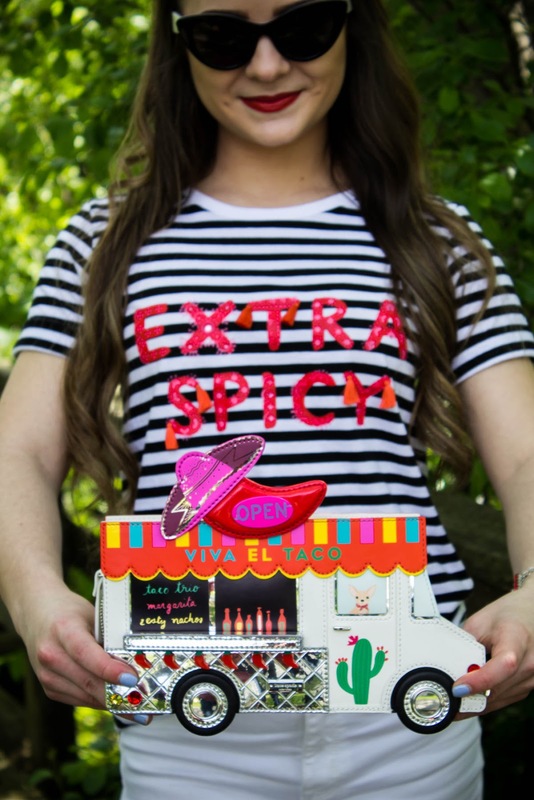 Hummingbirds, cacti, chihuahuas, tacos, and hot sauce flood the scene! This summer, you'll see it all pop up on handbags, apparel, and accessories. It's really the most fun theme I've seen yet from kate spade. I've loved every moment of it! Everything about this outfit makes me happy. 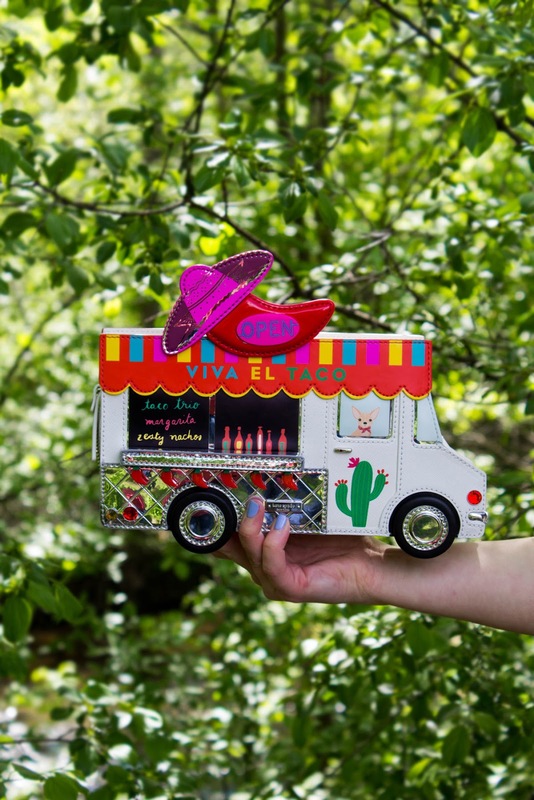 Obviously, the kate spade taco truck bag takes the cake. I totally regretted not getting the ice cream truck last year (and it's now being resold for hundreds of dollars more than it originally was sold for). Plus, I'm a foodie at heart. I needed the taco truck. Mexican food is my favorite cuisine! I could actually eat it for every single meal and not get tired of it (for example Lala's tacos al pastor). And it's SO colorful and detailed, everything from the tiny peppers dangling from the counter to the chihuahua in the window. I have been wearing it everywhere! 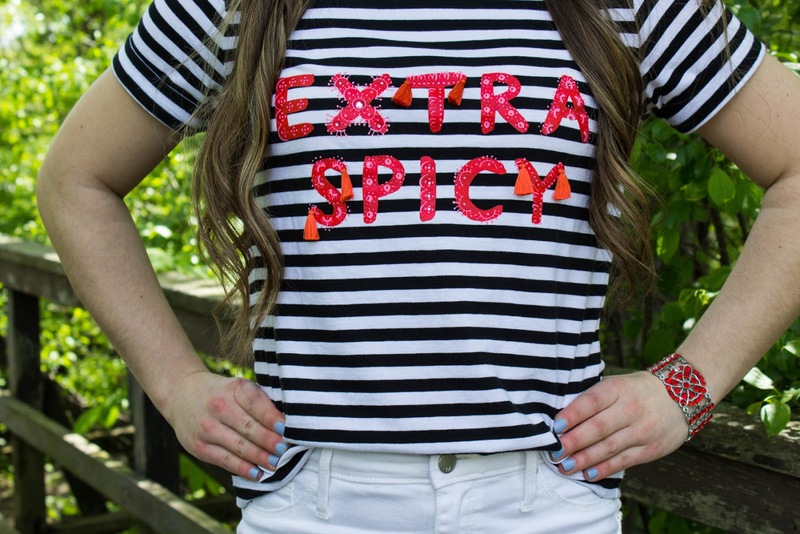 The kate spade Extra Spicy tee exemplifies my personality completely. Graphic tees from kate are my fave because they're so soft! And they don't fit tight like a year 2005 style "baby tee" or anything. And they always have a cute saying! These Mossimo jeans from Target are. the. best. They too are suuuuper soft. And the best part? They're cropped, so if you're petite like me (5'2") they will be the length of regular jeans on you! They're still a tiny bit cropped, but nothing like the model in the photo. I'm contemplating buying another pair because they fit me so well. And these Lindsay Criss Cross Sandals from Target are something I talked about in my gingham post back when I first bought them in February. I am happy to say that I've found comfortable heels! I wore these for about 9 hours straight and my feet didn't hurt. It was awesome. Every time they match my outfit, these are what I've been wearing this summer. There were so many great finds from the Mexico collection! I can't wait to share more. If you missed last season's Morocco collection, find it here! 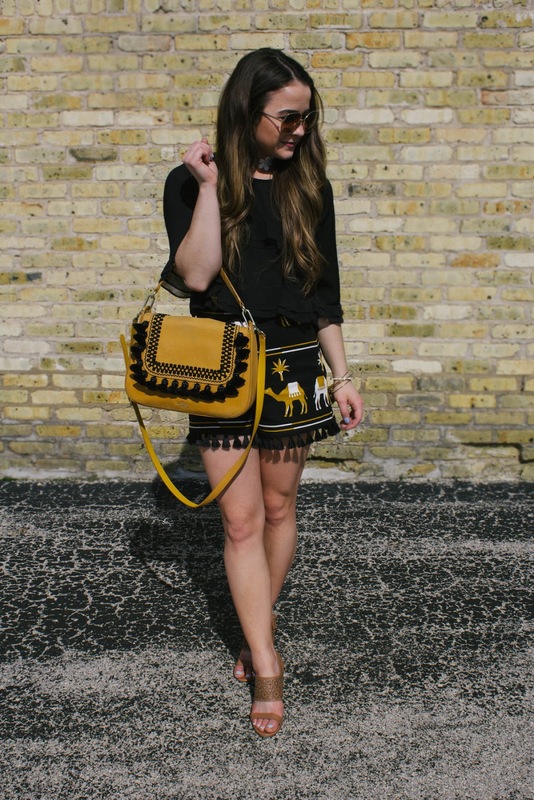 OOTD: kate spade Morocco Spring Faves - Part Three! The last installment of my kate spade Morocco collection favorites is here! Perfect timing too since EVERYTHING Morocco is part of the sale on sale that's going on right now! It's currently a whole extra 30% off all markdowns at kate spade. Usually, sale on sales are only an extra 25%, so if you've been eyeing something up, act now! 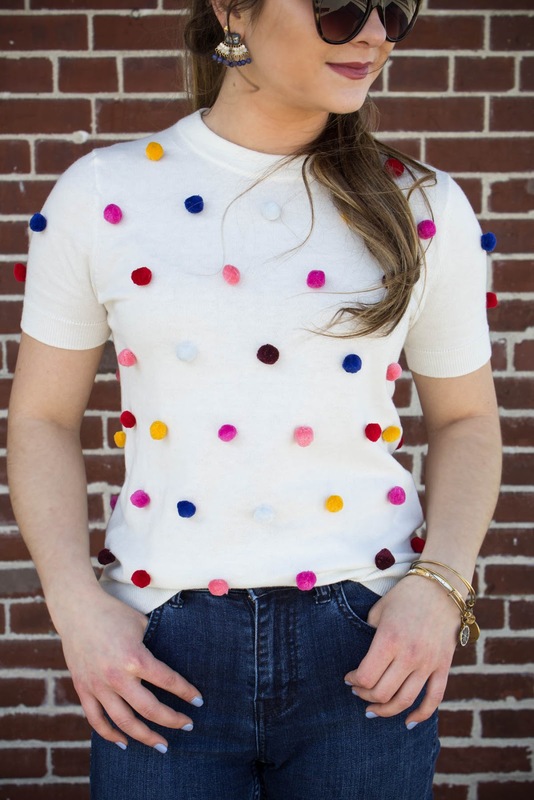 This kate spade Pom Sweater was one of the highly anticipated items from the Morocco collection for me. It's really light, so you can definitely wear it in the spring/summer even though it's technically a "sweater." But do be careful with those poms! It's on sale right now, so you'd get that extra 30% too! 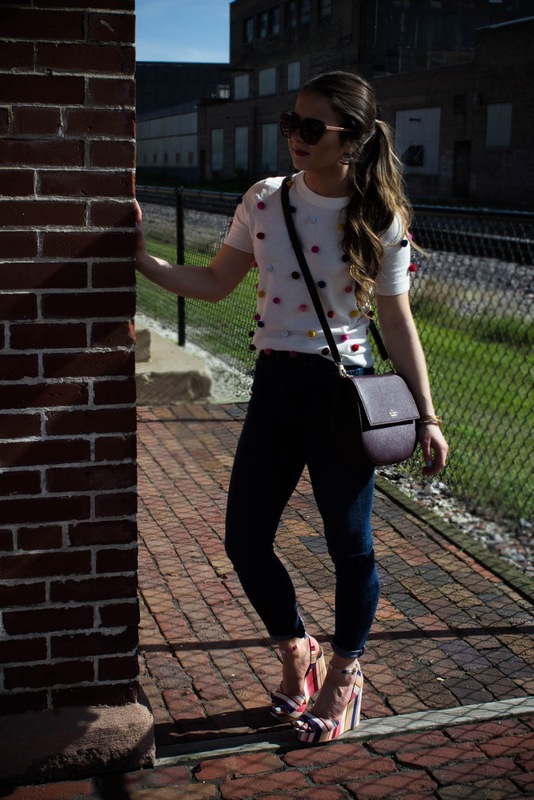 The kate spade High Waisted jeans are a wash of denim that I love. They're actually pretty soft too. They run a little small though, but are currently my go-to pair! You've seen my striped kate spade Dellie Wedges before. I wasn't lying when I said they match everything! They're part of the sale on sale as well. This kate spade mahogany colored Byrdie was from last summer/fall. I'm still obsessed with the color, and I have no problem wearing just about any color at any time of year. As long as it goes with what I'm wearing! 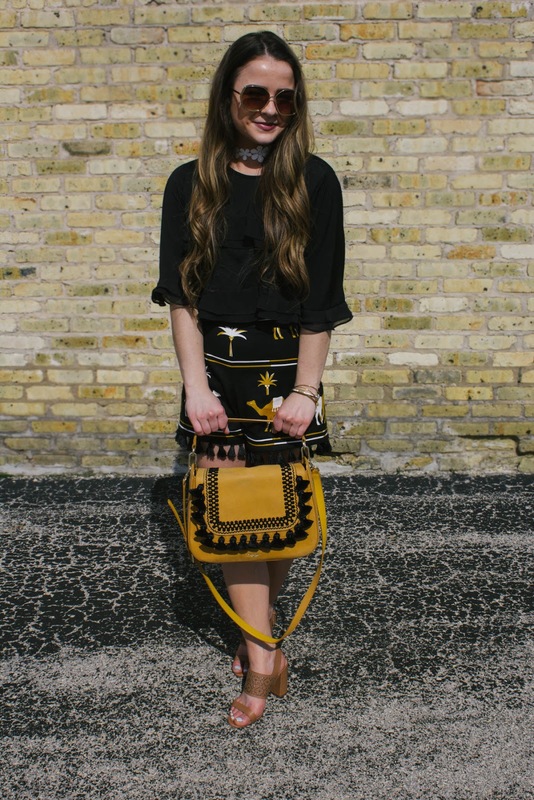 The Byrdie is an amazing crossbody. Even though you can't order it in this color anymore, it comes in a slew of other great shades. 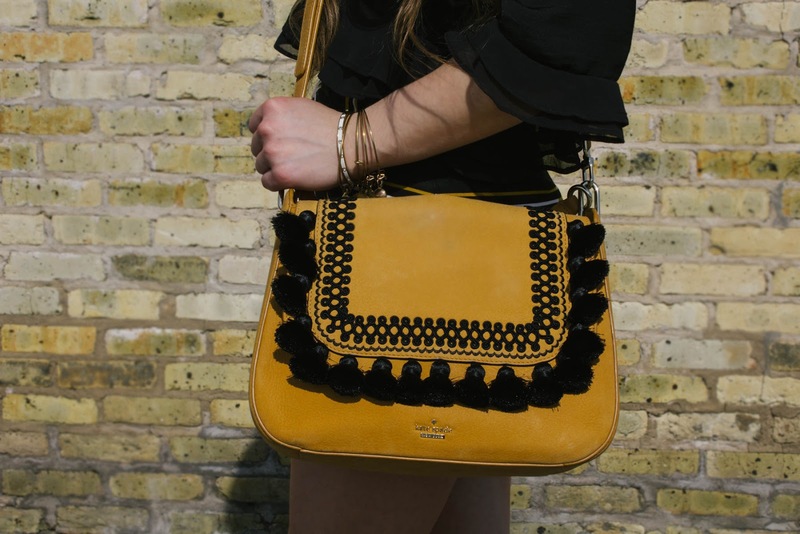 My current fave is the Make it Mine style, where you can switch up the flap on the front and the crossbody strap. I just had to mention my phone case, even though it's not kate, it's Draper James! 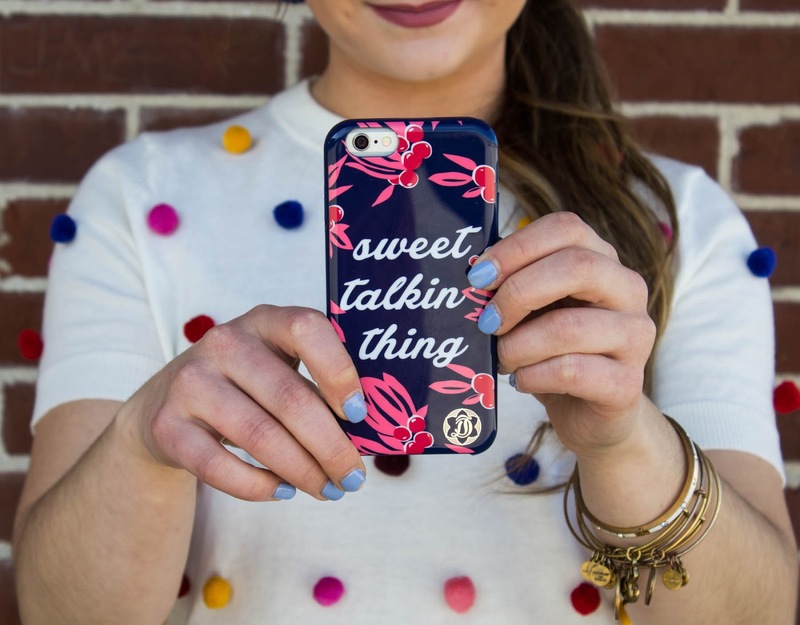 I thought "sweet talkin thing" was the perfect saying to put on my phone. It's actually my first Draper James purchase. Well thanks for joining me through this three part Morocco OOTD series! 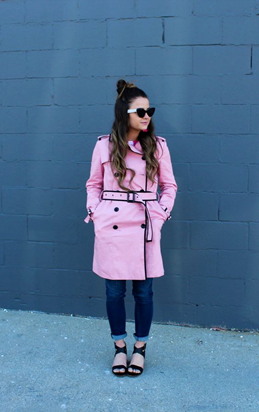 If you missed my last two spring faves posts, find them right here! I read a little less than I would have liked to this spring because my graduation cap Etsy business was in full swing. I felt guilty doing anything but that in my free time. In hindsight, I probably would have benefited from setting aside a little more time for myself. Oh well, there's always next year. 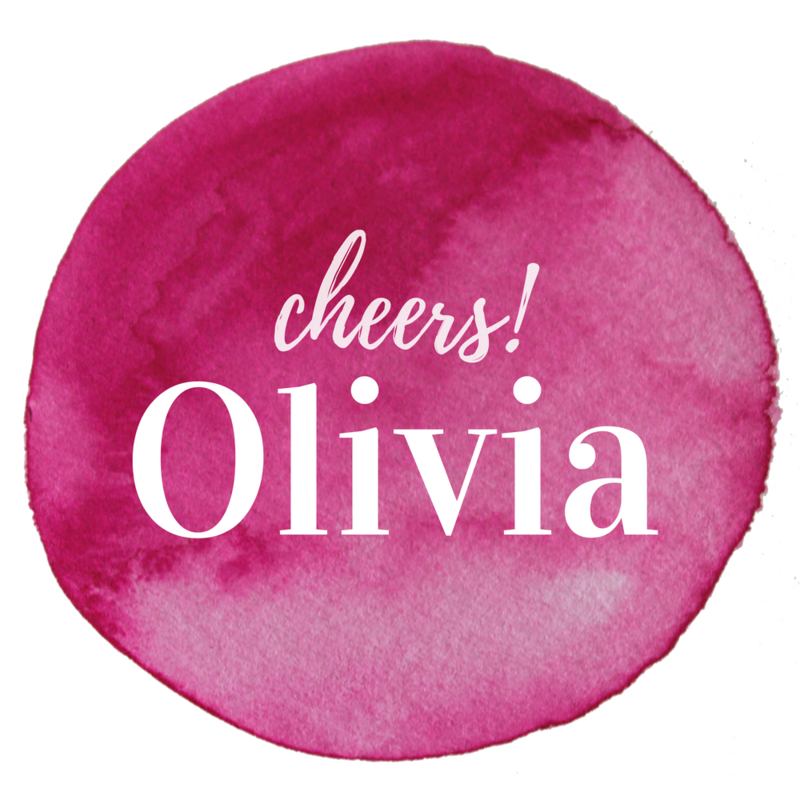 I use the Overdrive app to listen to audiobooks from the library! Sometimes you have to wait a little for the book you want, but other times you do not. Either way, FREE IS GOOD. I should note - I started to actually read about 5 other books. But I do this thing where I feel really inspired to start a book, and then it sits with one chapter read until 6 months later when I pick it back up to finish it! Lauren Graham's book Talking as Fast as I Can, How to Speak Midwestern, and Hamilton: The Revolution are all part of this category. Some are read a bit further than others. Not that they aren't all great, because I can tell they are, but it's just my thing. Allllll part of the process. Hahaha. I love Master of None on Netflix. 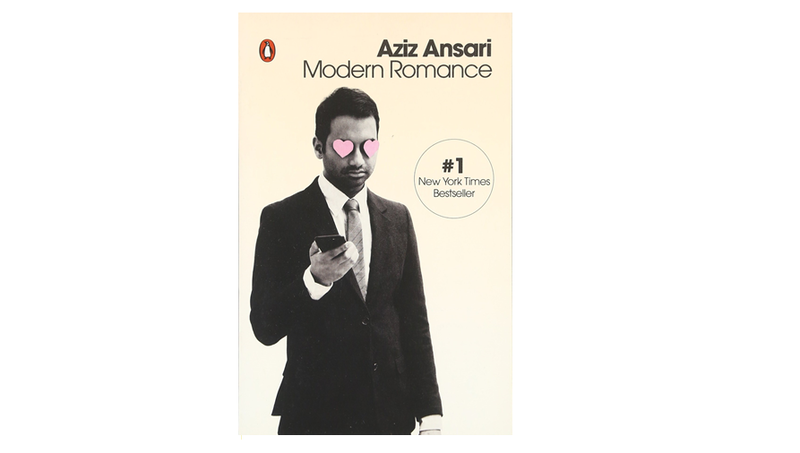 While I waited for the second season, I decided to listen to Aziz Ansari's book. Expecting it to be a typical celebrity memoir (which I generally like), it was much different! This book was more of a well-researched account of romance in the modern age. It had lots of examples and was very up-to-date! He talked about arranged marriage and some strangely novel ways that people used to find their spouse back in the olden days (think - classified ads). There was also a ton of findings about the current trends of internet dating, social media, and sexting. It was a good book for me because I like to learn about the way people interact/communicate and why. This was exactly that, but focused on romantic relationships. I liked it! This particular book was MUCH better listened to than it would have been read. If you are a fan of his, you know his voice. And it is very enjoyable to listen to him explain all of his research and stories in his own voice. Unless you find his voice annoying which is entirely possible, but I personally do not. "The tools we have to find our soulmates are incredible. We aren't limited to just the bing bongs who live in our building. We have online dating that gives us access to millions and millions of bing bongs all around the world." "What seems insane to one generation often ends up being the normal to the next." "I'd say it makes it easier to cheat, but it doesn't make it harder to be faithful." "Finding someone to date is probably more complicated and stressful than it was for previous generations, but you're also more likely to end up with someone you're really excited about." "We want a soulmate and we are willing to look very far, for a very long time to find one." I truly cannot remember where this book was recommended to me or why. If you're not into self-help at all, skip this one. But like I said, I like learning about why people do and say things the way that they do. This book is tailored to romantic relationships, but can easily be adapted to any type of relationship. There are spousal conflicts, parent-child conflicts, etc that are all used as real-life examples in this book. Anger kind of fascinates me because it's honestly a feeling I don't experience that often. Thank goodness. But I am not immune to it, so I wanted to learn about it from an expert. I find it interesting that some people deal with their anger by confronting the problem directly (and potentially...loudly) and that others draw back from the situation completely and take a more passive aggressive approach. And there are about a million other responses people can have that are between those two extremes. 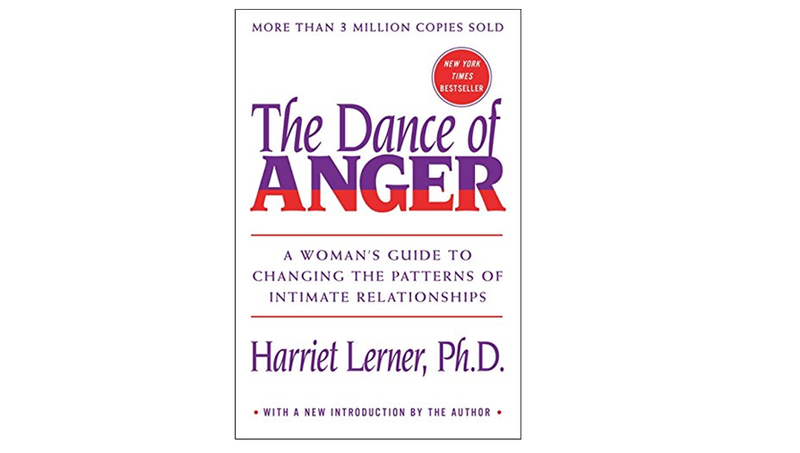 This book also focuses on WHY a situation can anger a particular person in the first place. I learned that if someone gets angry, it probably has less to do with you and more with a deeper issue that they're dealing with or something they're afraid to face. For example: Maybe you're reaching for greater independence and they're uncomfortable with that. Note: I had to listen to this at 1.5x the normal speed. I listen to most things at this speed. This woman spoke wayyyyy too slowly. Side bar - According to my dad, I speak at 1.5x the normal speed. "As we become more independent, we learn more about our family members, not less. And we are able to share more about ourselves." "Trying to change another person is a solution that never never works." "Repeating the same old fights, the same old patterns, protects us from experiencing the anxieties we are bound to experience when we make a change." 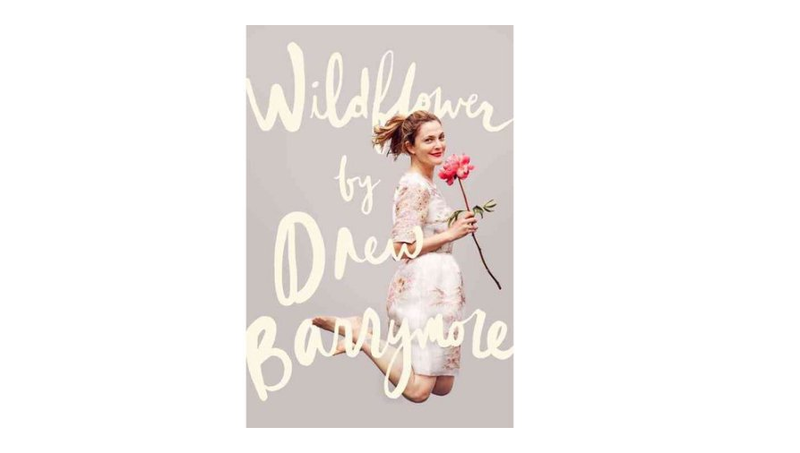 I'm somewhat of a Drew Barrymore fan, but never really knew much about her personal life. If you've been paying attention to her life, you probably already know that she grew up with very little parental guidance and was emancipated by age 14. Other fun facts: She and her bff Nancy (Jimmy Fallon's wife) have their own production company, Flower Films. She asked Adam Sandler to work with her for the first time via a handwritten note delivered to his office. She once drove her Bronco through a gate on Sunset Boulevard on New Years Eve (on purpose, they had parties to get to). It's a cute book. If you're a fan of hers and looking for a beach read or something, I'd say go for it. But I have read better celeb memoirs. On dealing with the struggles in life:"I love my life and it takes every step to get where you are. And if you are happy, then God bless the hard times it took you to get there. No life is without them, so what are yours and what did you do with the lessons?" As usual, I love hearing book recommendations you have for me. I love every kind of book, but am specifically looking for novels to read this summer. 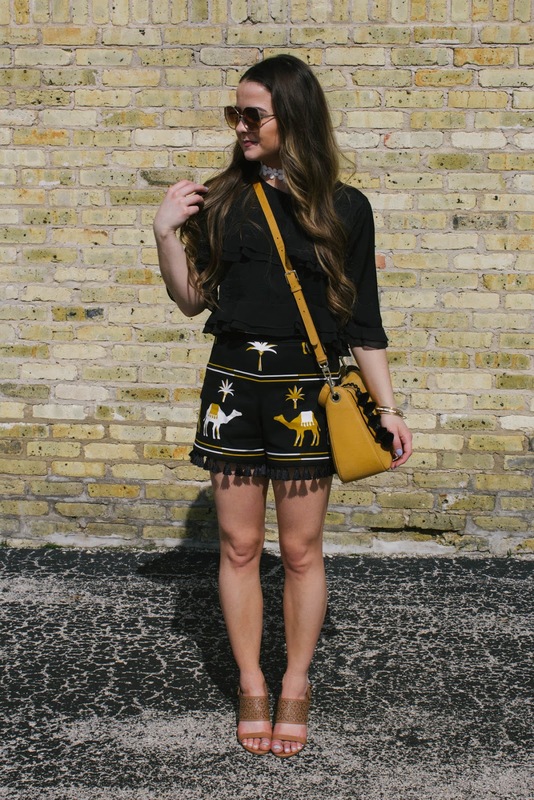 OOTD: kate spade Morocco Spring Faves - Part Two! 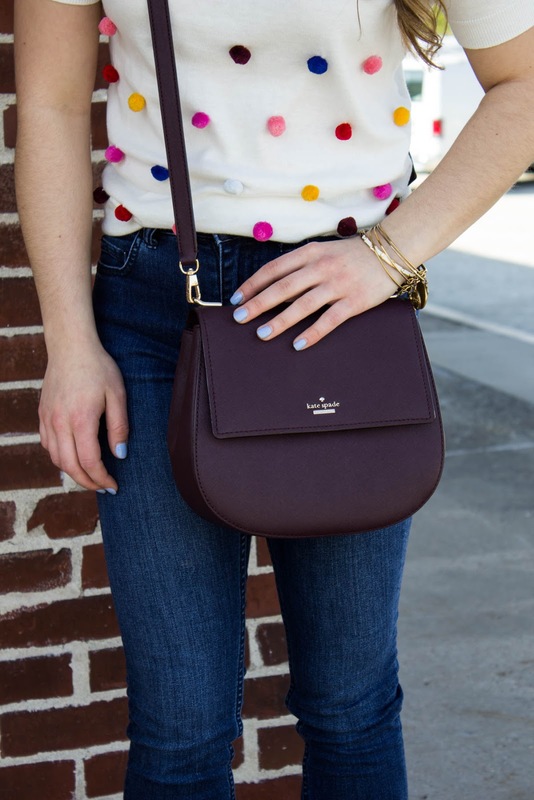 Welcome to Part Two of my favorite pieces from the kate spade Morocco collection! These were the shorts that I had been patiently awaiting. I knew they would be coming once the March theme of camels launched! Of course, it's definitely not shorts weather in Wisconsin in March, so I had to wait quite a while before I was able to unveil these for the first time! Paired with my Darcy handbag in saffron, they are definitely a match made in Morocco. Enjoy! 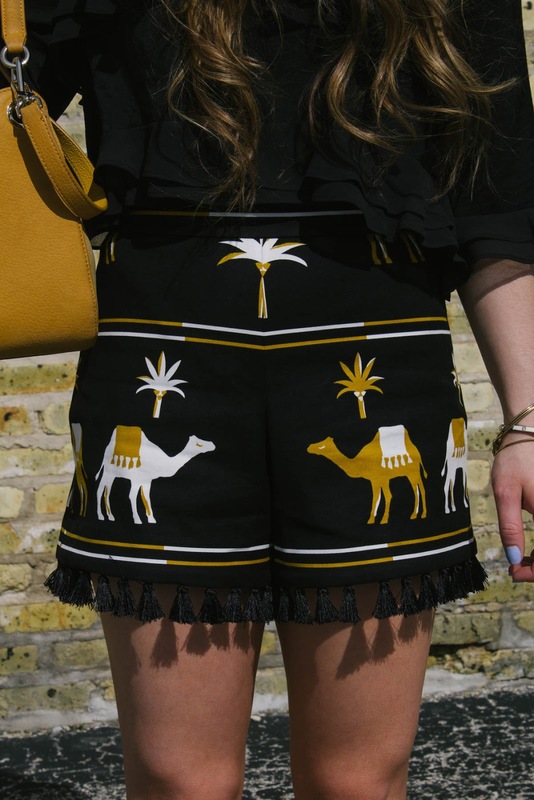 Like I said, I absolutely love these kate spade Embroidered Camel Shorts. ALTHOUGH...I do wish they were actually embroidered. It's in their name, for heaven's sake. The camels are screen-printed. I knew in advance, and it didn't deter me from wanting them, but they should really change the product title as not to confuse people. To me, embroidery means a higher quality piece of apparel. Nonetheless, I will be wearing the heck out of these this summer. The tassels hanging from the bottom are my favorite part! This kate spade Darcy handbag was the bag I bought for my New York trip in March. I'm very into its color, saffron, that was rolled out in March. And I clearly have a thing for tassels. And here comes another big "ALTHOUGH" ...This bag is suede. It was totally unexpected for me, because it definitely wasn't listed on the website. And the Darcy that we had in the store I work in was a very soft leather that I definitely would have preferred (due to durability/wearability, mostly). So that's pretty much what I expected from this one. I wasn't mad when it arrived (I ordered it from another store to be delivered to my house), but I have never had a suede handbag and probably would have given the purchase a second thought if I had known. It was a very expensive handbag... I still wanted to carry it during my New York trip, and the back of it ended up getting pretty badly stained with denim dust even though I used Michael Kors Protect & Renew on it beforehand. I still am obsessed with the look of this bag, but will probably never buy suede again. At least in a light color. 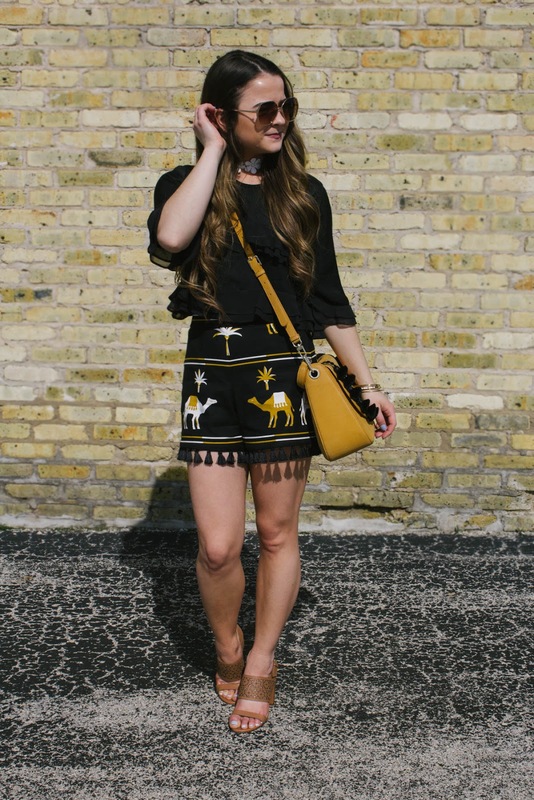 The black ruffle top was something I grabbed from the clearance section of Target last summer! It was super cheap. It was from the Who What Wear collection too, which I'm a huge fan of. 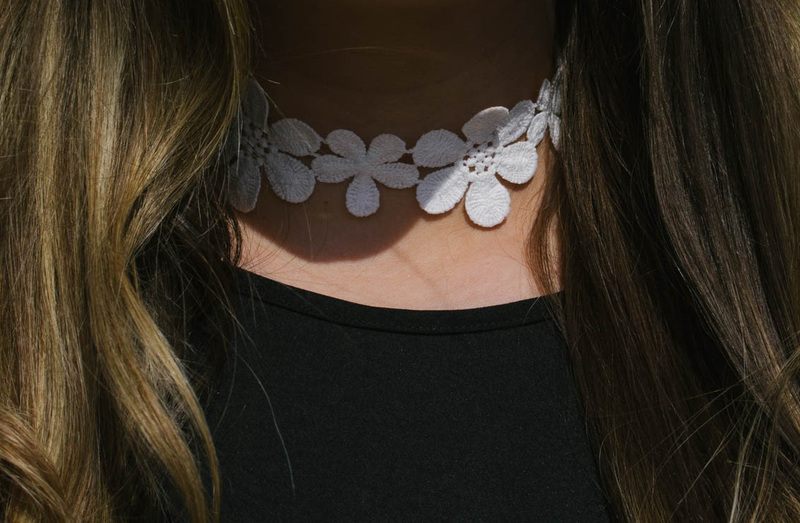 I picked up the crocheted white floral choker at the Forever 21 at Times Square. I'm surprised it's still available, but I'm glad I was able to link it! I have been saving it for a summery look because again, it hasn't really been warm in Wisconsin until very recently. But it's super cute and I look forward to wearing it with all kinds of things this summer! 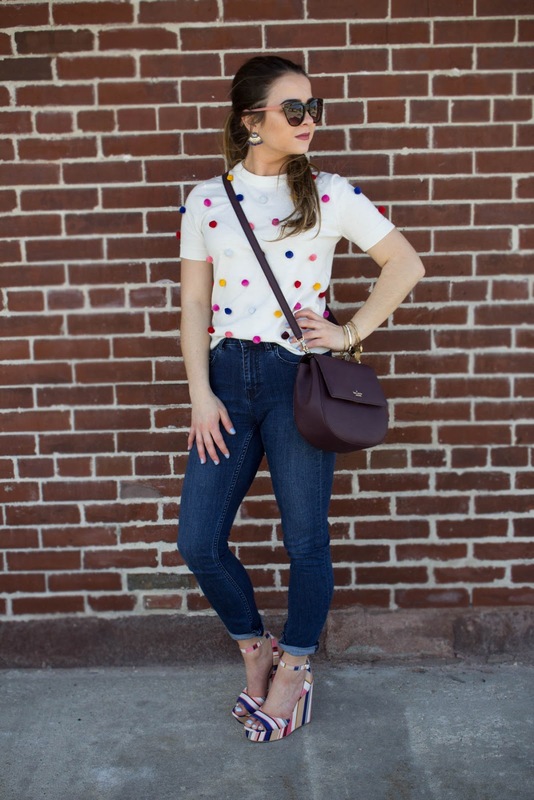 The kate spade Imani sandals were my go-to shoes last summer. I wish they were still available to link for you, but I did link the Central sandals which are a very similar style. They're a lot more colorful though! The Imanis were and are great because they match pretty much everything. I usually would wear black shoes with an outfit like this, but that saffron color in the shorts/bag was a tone that made wearing brown seem okay to me. Disagree with me if you must, but I think it was the right choice! Black would have bored me. I have one more part to the Morocco collection, and then we are moving on to Mexico!